Keith Jackson’s voice in sync with a cool-toned, grainy clip of a sea of Cal football fans. Bodies packed into Strawberry Canyon to watch Cal take on Pac-8 foe and defending national champion USC in 1975. 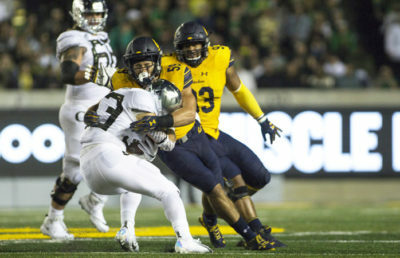 Down on the field, Cal’s quarterback and seemingly the future face of the University of California, Joe Roth, — known for his quick release and charming personality — had led his underdog Bears to a 28-14 win over the Trojans. Fans rushed the field and Cal players carried their coach, Mike White, on their shoulder pads with beaming pride. “The spirit of college football — look at it,” announced the game’s broadcaster. 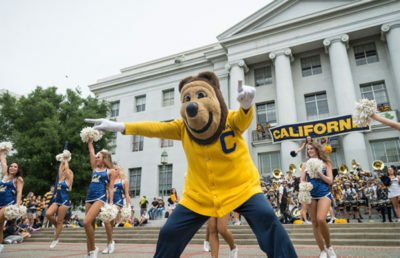 As the 2018 Cal football team prepares to take on UCLA in its homecoming game, it is Joe Roth week — the commemoration of a Cal legend, solidified with custom Joe Roth uniforms worn by the Bears as they run out of the North Tunnel in California Memorial Stadium. 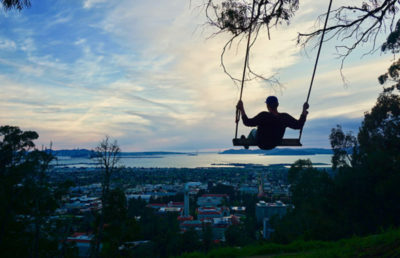 Roth hailed from sunny San Diego, California, where he played football at Grossmont College, his local community college. His skill on the field caught the eyes of schools across the country — including Washington and Cal. It was also at Grossmont, however, where Roth first learned he had cancer — more specifically, melanoma. What started off as a simple “dot” on his face, resembling a mole, turned Roth’s world upside down. But after a few treatments and doctors’ visits, a young 19-year-old Roth was cancer-free, with the caveat that he would have to get regular chest X-rays to monitor any potential issues. Roth then headed to his future home in Northern California as a student-athlete at UC Berkeley. 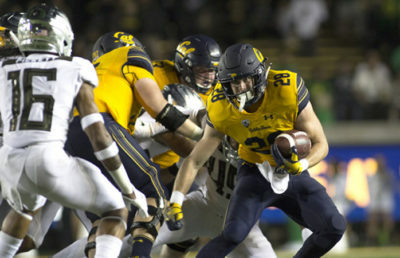 From being the new guy on campus to rapidly evolving into the best quarterback in the nation, Roth made himself a Cal great not only with his ability to throw a football, but through the humility and infectious positivity with which he did so. He was a smart, unselfish, history-in-the-making type of player. After an unreal stretch as Cal’s quarterback, Roth was already being considered as an eventual No. 1 overall pick in the next NFL Draft. As the 1976 season began for the Bears, they began their stretch 0-2 and looked to snap their losing streak against ASU. Roth underwent another routine chest X-ray before the game. The team doctor saw spots on Roth’s lung. Roth’s teammates, coaches and fans will never know how Roth felt — he never told anyone about his cancer. He never let on that anything was wrong. 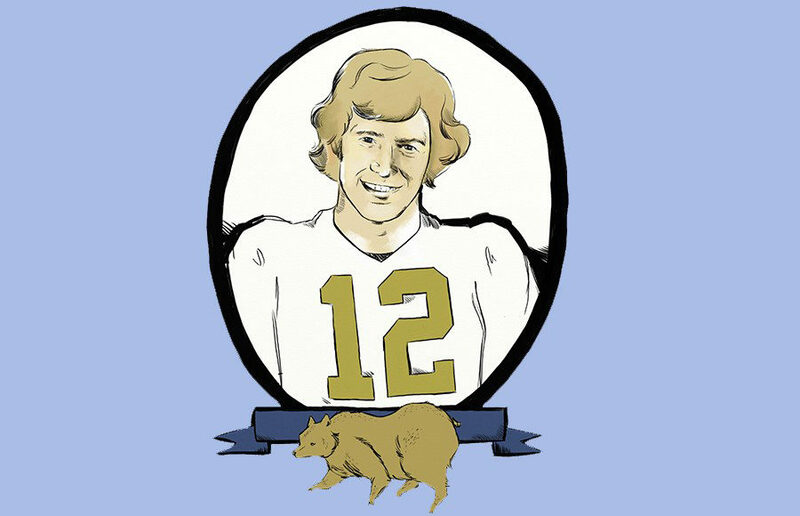 Roth internalized his battle with his silent killer on a national platform and continued to prolifically man the helm for the Bears. But as time wore on, despite all his efforts, the cancer took its toll on Roth and stole the shine from his life, slowly. As the season wore on, Roth’s health wore away, too. Roth’s melanoma was back, derailing not just his prospects as a professional football player, but more importantly, his life. He had very little time — 90 days to live, roughly, by the doctor’s estimate. He underwent chemotherapy. But he still took his finals. He still prepared for his upcoming all-star games, the Hula Bowl in Hawaii and the Japan Bowl. The Japan Bowl would be the last football game of Roth’s life. Roth died Feb. 19, 1977, at age 21. On that same field where Roth conducted his mastery many years ago, Cal football’s current batch of student-athletes prepares for its Pac-12 matchup against the Bruins. With Joe Roth’s spirit lingering over the stadium, the Bears will proudly remember a player who truly gave his all for his university and his team.